Experience - 42 Years - "Super Exterminator"™ Ron (RJ) Dawson - Nationally Known Pest Expert, has been involved in his family's pest control business since the 1970's. 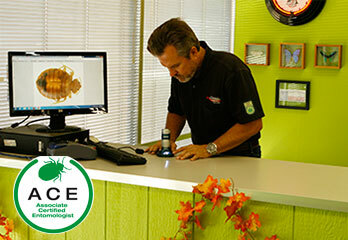 Ron has served on the Texas Pest Control Association board of directors and was a national spokesperson for Spectracide Terminate. Ron has appeared on Michael Holigans "Your New House" television show and founded ePestSupply in 1997. Experience - 18 Years - customer service, order fulfillment, shipping and packaging, inventory control, accounts payable and receivable. Experience - 13 Years - pest control expert - home and commercial, International shipping expert. Please include your name, city and State and as much information as possible so that we can better help you. Need help identifying a pest? We will ID it and send you information and a control plan. Visit our Question and Answer Library.